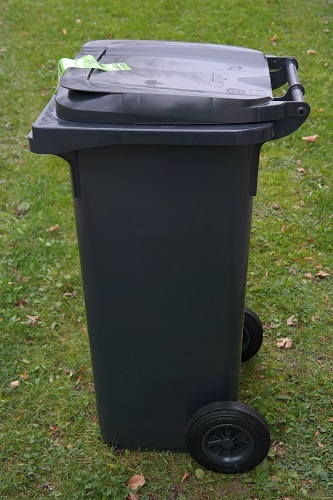 Did you know there are many health risks associated with an overflowing rubbish bin? We have strict guidelines against filling our bins beyond capacity, and there are good reasons for this. All skip bin hire Perth have similar guidelines, and we have more or less the same reasons. First, there’s the simple fact that a lot of nasty things thrive in the garbage. Bacteria, numerous pests, and all manner of vermin find overflowing waste to be an ideal breeding ground. It’s a great home for these creatures, from flies to bacteria that can cause infections. If they’re making their home near a bin, they’re also spreading around your living space. You could get sick easily in these conditions. Anything from salmonella to food poisoning is possible, along with gastroenteritis and other major conditions. Overflowing waste also causes air pollution, which leads to respiratory diseases. Toxic substances that linger in garbage include carbon dioxide, methane, and nitrous oxide. All of these can cause damage to the lungs, resulting in respiratory diseases. These contaminants usually have bad odours. Most of it comes from decomposing materials, but liquid wastes are also a source. As a note, all skip bin hires do not accept liquid waste. We don’t want anyone to get sick any more than you do, and there are proper means of disposing of these hazards. Garbage also contains the risk of contaminating surface water supplies. This is a bad thing in many ways. For starters, contaminated water is a major vector of disease. This is especially true if the material that gets into the water is toxic, rather than just ordinary bacteria. Contaminated water can also affect all nearby ecosystems, harming fish and local wildlife. The biggest risk factors in this are batteries, computer equipment, and even leftover paints. While you can put these in a bin, you should never let the bin overflowing with them. As noted, liquid waste is typically not allowed in a skip. Direct handling of overflowing waste is also a means of exposing yourself to the risks. Just picking up and handling overflowing rubbish can cause infections and accidents. This makes it dangerous, and why it’s best that the bins be closed during pickup and delivery, as well as during transit. This is doubly true for certain types of waste. Hazardous materials, biological waste, and decomposing rubbish are all very dangerous to handle. Keeping the bins from overflowing is a good way to cut down on potential issues.